When Should You Replace Your Warehouse Equipment? Knowing when to replace your warehouse equipment and machinery is no easy task. With new technological innovations constantly hitting the marketplace, you don’t want to make an investment only to see your new equipment be immediately outdated. Similarly, there’s nothing worse than moving on from a proven piece of equipment only to find your new purchase can’t measure up. If you’ve found yourself wondering whether or not the time is right to replace your equipment, take a look at our list of considerations below. All warehouses see their share of minor equipment problems. But if a major piece of equipment stops working completely, you have a decision to make — should you fix the machine or replace it all together? Workflow disruption. With new equipment, you’ll have to properly train employees to safely use this machinery. This task can take up a large chunk of your time and possibly even lead to overtime pay. Layout changes. A new machine might also call for updates to your layout or processes. This could force you to move equipment around to accommodate your new machine and could even necessitate further equipment purchases to get the most out of your machinery. Downtime costs. Perhaps the most common reason for putting off replacing old equipment is being incapable of suffering the loss in productivity that results from a missing machine. An onsite repair will take less time than ordering, shipping and installing new equipment, in most cases. While these downsides might seem overwhelming, an older machine breaking down gives you the opportunity to make some major upgrades to your facility. Here are some key reasons why installing the right new equipment can be a great decision. The clearest signs it’s time to replace your equipment are either productivity is beginning to slow down or your output is lagging behind competitors. Constantly having to make minor repairs or work with finicky machines can mess with your workflow, while machinery that is just outdated can lack the functionality that you really need to get work done quickly and efficiently. Along with lacking the newest functionality, older machines can pose a safety risk to your employees. 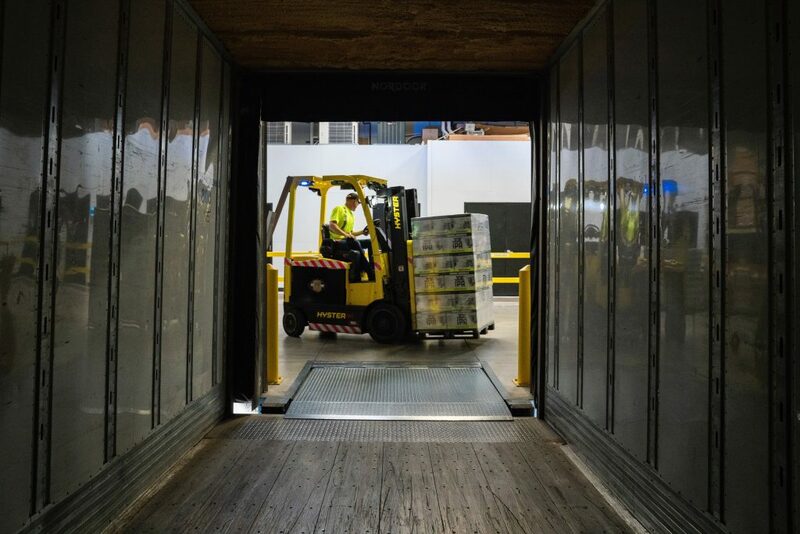 According to the Occupational Safety and Health Administration (OSHA), the fatal injury rate for warehouse workers is higher than the national average for all other industries. This is due to a number of reasons — from a failure to wear protective gear, to not knowing how to properly use equipment and ignoring workplace regulations. It’s not much of a reach to see how old equipment can make matters worse. Machines can fail while moving items around, resulting in falling hazards for workers. For example, an unpredictable manipulator may be bypassed entirely, with workers lifting heavy objects themselves or relying on even less reliable methods to get their jobs done. As your organization grows and develops through the years, your warehouse needs will likely change. If your find yourself working with a layout or machinery that can’t do what you need it to do, then it’s time for a change. While situations will occur every now and then where your older equipment completely breaks down, ideally you want to never have to face this scenario because you’re proactively planning your warehouse enhancements. This prevents the scenario of having to rush to buy new equipment and then shoehorn it into your operations. Here at Dalmec, we take the time to custom engineer and build industrial manipulators based completely around your needs and manufacturing environment. This means with a Dalmec manipulator you’re receiving an upgrade that will not only fill in for your old equipment, but improve your warehouse productivity for years to come. Click here to learn more about our approach to customized industrial manipulators and lifting equipment, then use the contact form on the side to get in touch. Don’t wait till you hit your breaking point with old or outdated equipment. Take the proactive step and see how much more efficient your facility can be.